This includes a full medical history questionnaire to help us understand any outlying health issues that must be considered for your treatment. Feel free to share your health concerns and expectations. This is the time to discuss any questions you may have concerning your health and possible treatments. This may include orthopedic testing, flex assessments, muscle testing, and a specific chiropractic evaluation. In some cases, x-rays may be necessary to determine an exact diagnosis. Afterward, a time will be scheduled for you to meet with the doctor to review the results of the examination. Depending on your situation, treatment may begin once the results of the examination are discussed. Your second visit is designed to give you a complete understanding of what is causing your particular health concern. Educating patients on what is happening with their spine is important in the overall healing process. During this visit, you will also receive a brief overview of the chiropractic treatment plan designed for you. 2. How long will it take to correct my problem? 3. How often do I need to come for care? Once your questions have been answered and the doctor determines it is safe to begin care, you will proceed to the spinal adjusting portion of your care. Some patients do have minor soreness after their first adjustment, much like a workout produces sore muscles. 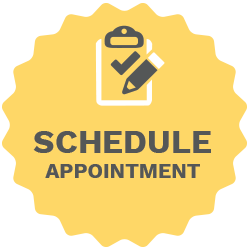 You will be given home care instructions and scheduled for your next visit to our clinic. This visit is the culmination of your previous two experiences. During your third visit, we will explain in detail your insurance contribution to your care plan and your financial responsibilities. If your deductible is high or you don’t have health insurance, you are not alone. Nearly 30% of our patients are in the same situation. We can help arrange a payment plan that suits you.